Welcome to IMSLV. It is a Online Entertainment Place for Music Lovers, Wallpapers, Quotes and Many more. Babbal Rai is back with the new single called as "Dream Boy". 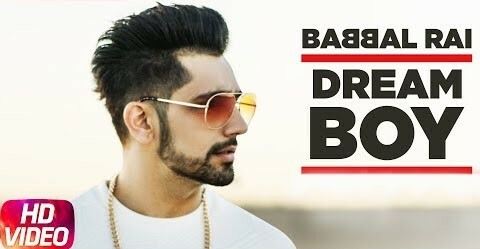 Check out the new punjabi song dream boy lyrics and Aaya Ni Tera Dream Boy Video featuring Babbal Rai. The song music composition and video done by Pav Dharia and lyrics written by Mainder Kailey, Explore more down down down. Gore kaale tere te lakh marde yeh..
Gede maaran maaran tere ghar de ho o..
Tu behja mere naal soniye..
You can also have a look to Diljit Dosanjh's Dhan Guru Nanak song, Just you need to click!